Proponents of Senate Bill C-290, now on hold by Canadian lawmakers, claim that the Canadian government is losing something like $36 million every day that they fail to pass the bill which would allow single game wagering in Canada. Currently, Kanucks can place wagers in the form of parlays… but not on single games. Go figure. The senate has come under varied criticism of late for allowing C-290 to die on the floor without taking action marking the first time in history that the senate has failed to pass a bill which had been unanimously passed by the House of Commons. Estimates on amounts wagered range as high as $18 billion and the taxes which the government has let slip through its fingers since legislative debate began on this issue is mounting up daily. 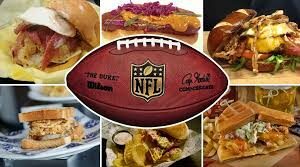 Legislators in favor of the bill claim that all of the money not going to the government goes directly into the hands of organized crime and illegal offshore sportsbooks… which cannot be taxed because they are in no way regulated. 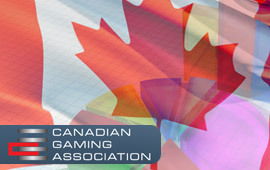 The Canadian Gaming Association has even started its own website where players in Canada who would like to be able to place a wager on a single game can sign-on and make their voices heard. The CGA estimates that legalizing single game sports wagering would create…or perhaps save…over 150 jobs at the Casino Windsor alone… not to mention the rest of the country. Casino officials are obviously in favor of the expanded wagering options as they would almost certainly bring more players out to the casino who would in turn spend more money on food and drink and other attractions…thus increasing the bottom line for the casino. What the Canadian casino operators are counting on is that the new freedom to wager on single game events would bring a lot of players across the border from the United States. Just this influx of monies alone from the US market could mean as much as $70 million per year in added income for the country. It is estimated that gamblers in the USA spend over $40 billion per year on illegal sports gambling and the Canadian casinos and Canadian tax collectors would dearly like to get their hands on a piece of that action. However, Bill C-290 has been sitting around the Canadian senate for almost a year and a half now and no immediate action is in sight on the issue.